Beautiful long thick gorgeous luscious hair! What woman doesn’t want that!!?? Now YOU have it! At Shears To You, we’re all about hair! 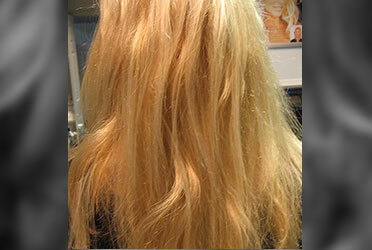 We offer several different methods of hair extensions to suit your needs and create the look you desire. Our Taped Extensions provide a strong long lasting hold without harsh chemicals or strong adhesives. A thin light strip of tape comes attached to the top of the hair product which is then cut to fit any specific area where you would like more hair. Clip In Hair Extensions are easy to apply and are attached in minutes. Clip In Extensions attach using pressure sensitive clips so they don’t cause damage to your hair. The clips provide secure wear without breakage and will last the whole day without slipping. Any one or a combination of them can create volume, length, texture, highlights or low lights! Hair Extensions can be a wonderful solution to help the horrible stages of growing out your length or add highlights or low lights without chemicals. It can fix a bad or uneven haircut or make dry, over processed or unruly hair look healthy again. You can add color, length, and volume all at the same time! They are great for wedding, proms and all special occasions. Get the hair of your dreams in an amazingly short amount of time. We teach you all you need to know to keep it beautiful. Because of the many factors that go into creating a look, prices cannot be given over the phone. Call today for a private consultation!